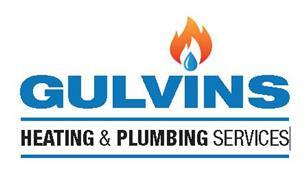 Gulvin's Heating and Plumbing Services Ltd - Bathrooms, Central Heating Engineer, Plumber based in Herne Bay, Kent. We are a local family owned business with over 10 years experience in the trade, providing professional reliable expertise and service for all plumbing and heating needs. We strive to always offer a friendly service and will deliver excellent advice and workmanship whether it's installing, servicing or repairing your central heating. Likewise we are equally qualified and experienced in any plumbing needs you may have. Registered with Gas Safe for domestic gas and L.P.G, you can be assured that our experienced engineers hold all the industry qualifications required to fulfil our duties and are fully insured up to £5 million pounds. Quality of customer service is imperative to us and as such we have built up our loyal customer base mainly through recommendations and we continue to grow. It doesn't stop at central heating we cater for all areas of heating and plumbing and will provide free no obligation quotations. Any time please don't hesitate to call, we offer a 24 hour service in the event of an emergency, and are happy to help.